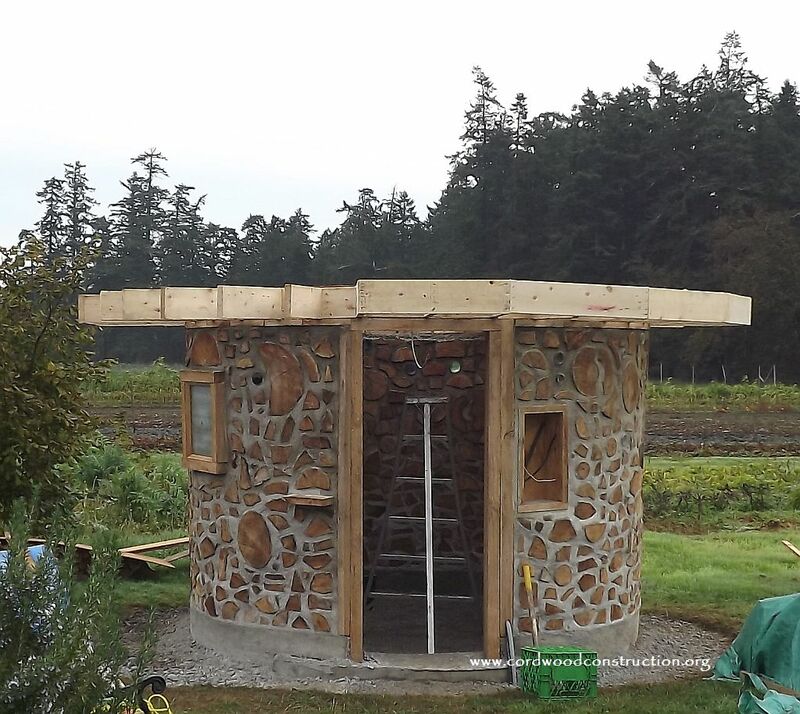 Ernie Slatter attended our Cordwood Construction workshop at Kinstone Permaculture Academy in Wisconsin and then went back home and built this beautiful sauna in British Columbia. The sauna is called “Sea Bluff Sauna.” The latest picture with daffodils blooming. Ernie built it for a friend and made sure he had all the tools and training to do it properly. He planted 200 daffodils on the roof! I look forward to the pictures he will send next Spring! 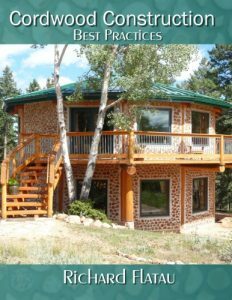 You will notice how he used a few large rounds and then many smaller pieces. This makes for a random rubble look. He also “exploded” pieces. Which means he split the wood first and then mortared it together so it looks like a whole piece. The setting in British Columbia with their 10 month growing season, is wet and warm. 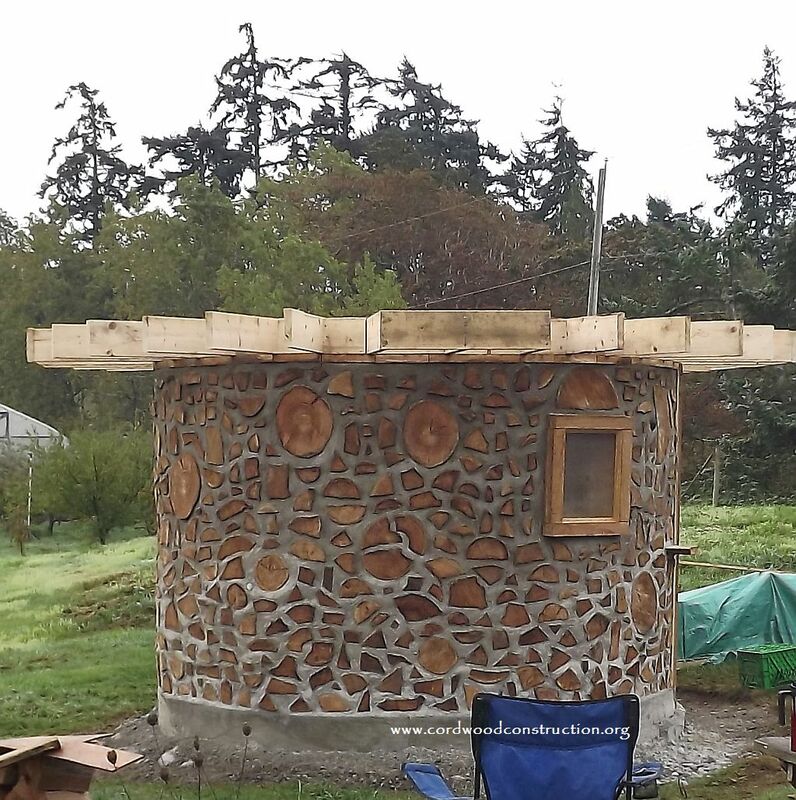 When building a round building, the roof goes on last, leaving the building out in the elements. 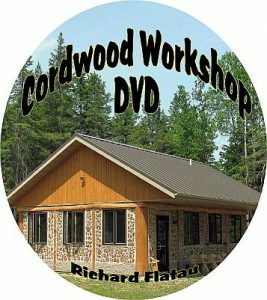 If you finish a small build quickly, there is usually no problem, but if your cordwood infill takes longer, the cordwood can suffer degradation. 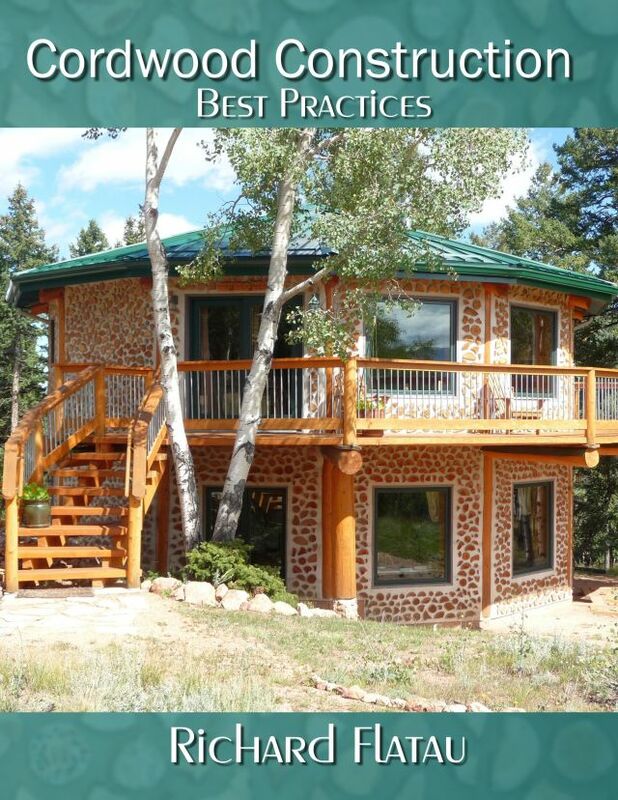 We advise putting a framework and a roof on first.